I always love when Byrdie, Into the Gloss, Allure, and more give us a look into the beauty routines of the rich and famous. In my opinion a beauty routine is personal and intimate so it feels like you're getting a real look at someone's life and getting to know them better when they divulge their beauty secrets. In the spirit of getting to know people through their beauty regime I thought it would be really fun to interview bloggers about theirs. Today's post is the first in a new series Beauty Behind the Blog, in which I am going to give you a behind the scenes look into blogger beauty. To kick this off I have my amazing blogger bestie (and Tutu Tuesday co-host!) Jordyn of The Fairy Princess Diaries. My Mom and magazines! I've always loved reading magazines and I owe the little beauty knowledge I have to their glossy pages. I think feeling confident is crucial to happiness and success and I believe feeling beautiful is a big component of confidence. I don't read too many beauty blogs honestly. Most of what I learn about beauty comes from experimentation and the nice ladies at Sephora. I love using honey and coconut oil. Honey face masks are my favorite and I even use coconut oil on my dog's skin. My skincare routine is very basic-I wash my face with Kate Somerville Gentle Daily Wash, I apply Kate Somerville Quench Hydrating Face Serum and the Goat Milk Moisturizing Cream and I'm set for the day. At night I wash off my makeup and apply retinol serum and the same Kate Somerville Goats Milk moisturizer. What are your must have skincare products? Anything Kate Somerville (as indicated above) and I love trying new serums! I give myself a quick face mask with Kate Somerville Eradikate Mask and then try not to pick, but I'm guilty of touching my skin way too much. Most days I wear only eye makeup, I find that when I use face makeup for anything other than special occasions my pores get clogged. For my eyes I use Stila Liquid Eyeliner for a simple cat eye and Diorshow Mascara. When the bags under my eyes are especially prominent I use an Urban Decay Concealer. When I'm out I try and spice up my makeup routine with Lancôme BB Creme, a natural smokey eye from the Urban Decay Naked 2 Palette and a fun lip color. Definitely mascara, I can't go a day without it. I've also become addicted to punchy lip colors for special occasions. I bought a Bite color called "Radiant Orchid" a year or so back, it isn't sold anymore and I'm dreading when the shade runs out. It's my favorite! Is it wrong to say having someone else do it for me at Sephora?! A lot of fine hair, meaning my hair gets tangly really quickly. I'm fairly simplistic when it comes to my hair. I get balayage every six weeks or so and wash my hair every day. I alternate between Pureology shampoo and conditioner, Bumble & Bumble, and Sebastian Drench. All three are great products, I just find my hair reacts best when I switch it up every few months. I don't like how my hair looks up very much so I generally style it curled and down. Hair spray and a Kérastase treatment for my ends. My hair can have a lot of breakage so taking care of my ends is crucial. A Moroccan Oil Hair Mask is great for treating my hair once a week and maintaining softness and shine. Curled and down using a Chi Curling Wand. Curled and down with a braid pulling back the front of my hair to keep it out of my face. Coconut oil is great for dead ends. I also love whipping up a raw egg and avocado hair mask when my hair needs ultimate moisture (it sounds gross but works wonders). I'm simple, I scrub and moisturize and exfoliate when necessary. Aveda Shampure Hand and Body Wash and Fresh Brown Sugar Body Polish for exfoliating. I love baths so a great bubble bath and a few bath bombs are also a must (I love the bath bomb with pink glitter at Lush). I'm all about balance. I've been a vegetarian since I was twelve and incorporated seafood into my diet again over the past two years. I genuinely love vegetables but I also eat ice cream and pasta frequently. I don't have a specific routine per se, but I do try and be active on a regular basis. I like to run primarily and mix in trips to the gym with occasional hikes and barre classes to keep things interesting and fresh. A huge thank you to Jordyn for sharing a look into her beauty routine! Do you use any of the same products? Let me know below! I like this post! It sounds like a fun series on beauty! Thanks for hosting the link up! I hope to see you on Friday at my new On the Edge of the Week Link Up! I have a lot of thin hair too, it creates a lot of problems! I'm just getting into actual makeup routines so I love reading about other peoples! I love this! I'm so obsessed with going to Sephora and spending my money on things I don't really need and this just gave me a multitude of products to go in search of. I think it's really interesting to read about peoples' beauty routines! Love this idea!! 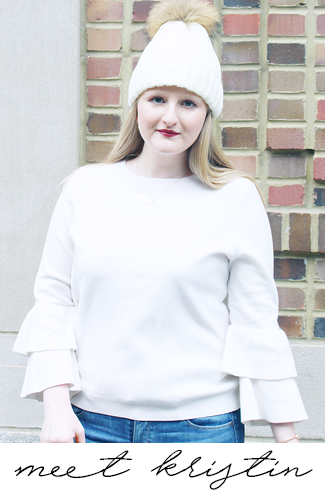 I love finding out more about the girl behind the blog! Ooooh I love this, I love hearing about other's beauty routines and products! Jordyn is the cutest. I want to raid her closet. Love learning about Jordyn's routine and favorite products. These posts are always so much fun to read. I really want to try the egg and avocado hair mask, my hair is so dry and nothing I try seems to work!! She's so gorgeous! I need to get myself some Kate Somerville! Jordyn is so adorable! I love her blog. A few weeks ago, I made the decision to start only wearing eye makeup and lipstick. I'm glad Jordyn does that too! I love how simplistic her beauty routine is. It just shows that she's naturally radiant both inside and out. I feel the same way about getting to peek into someone else's beauty routines. I love knowing what products people actually use! Such a fun interview post! Thank you so much for featuring me for your new series. 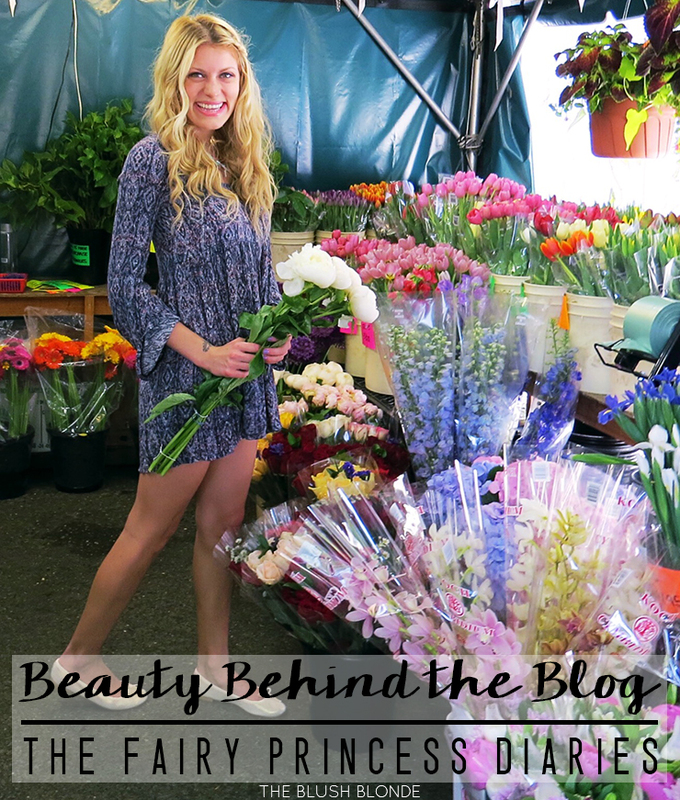 I loved answering your questions about beauty, I can't wait to read other bloggers' answers! Love love love Jordyn! So fun to read all about her favorite beauty products. :-) I haven't heard of Kate Somerville but now I'm curious! I love this post! I love interview types of posts- they are so interesting to see everyone's different routines! Loved this post! What's your favorite lip color to wear out?